Received by Dr. Vyoma Bhogal Dhatt on behalf of Hon’bIe S. Bharpur Singh Bhogal Chairman & President Ramgarhia Educational Council, Phagwara. 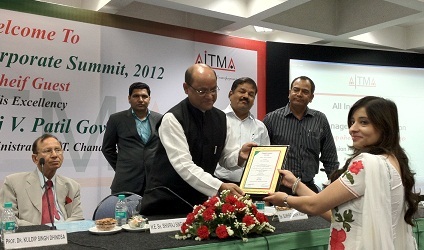 Received by Dr. Vyoma Bhogal Dhatt & Er. Gagandeep Singh Dhatt on behalf of Hon’ble S. Bharpur Singh Bhogal Chairman & President Ramgarhia Educational Council, Phagwara. 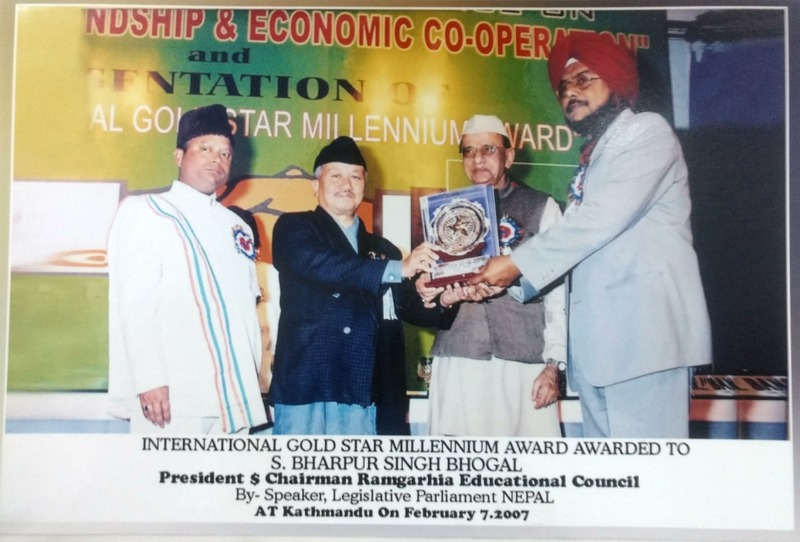 Presented to Hon'ble S.Bharpur Singh Bhogal Chairman & President Ramgarhia Educational Council and President Bar Council Phagwara on December 27, 2007 at Thailand by Sh. KantilalBhuria Union Minister for States for Agriculture for his dedicated, valuable and commited services to the bnmation in multiferious field. Interstate Gold Star Millennium Award was presented to S. Bharpur Singh Bhogal Chairman & President Ramgarhia Educational Council Phagwara by Sh. Subhash Chander Speaker Legislative Parliament Nepal on 7th Feb 2007 at Kathmandu for Promotion of Global Integration. Indra Gandhi Sadbhavna Award was presented to S. Bharpur Singh Bhogal Chairman & President Ramgarhia Educational Council by LT. Gen.(Rtd.) 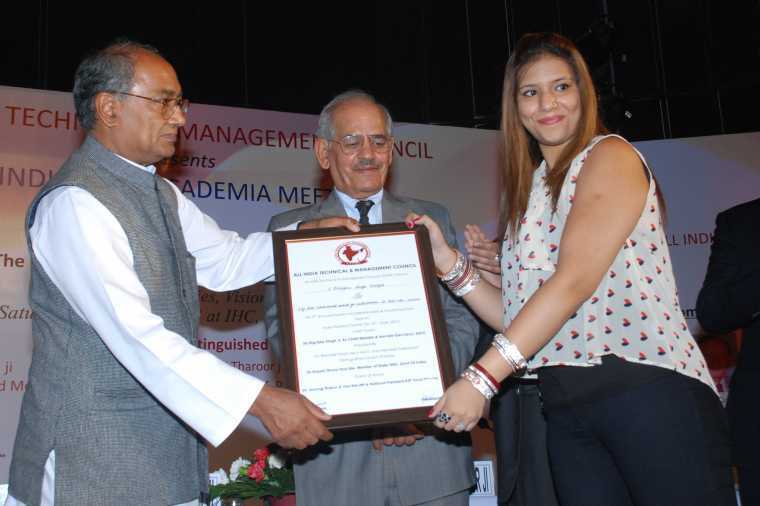 MM Lakhera Governer of Mizoram for outstanding individual achievements and distinguished services to the nation in the field of Education on Nov 24, 2006 at New Delhi.